Hot pink roses sit prettily among cream and peach apple blossoms and branches. 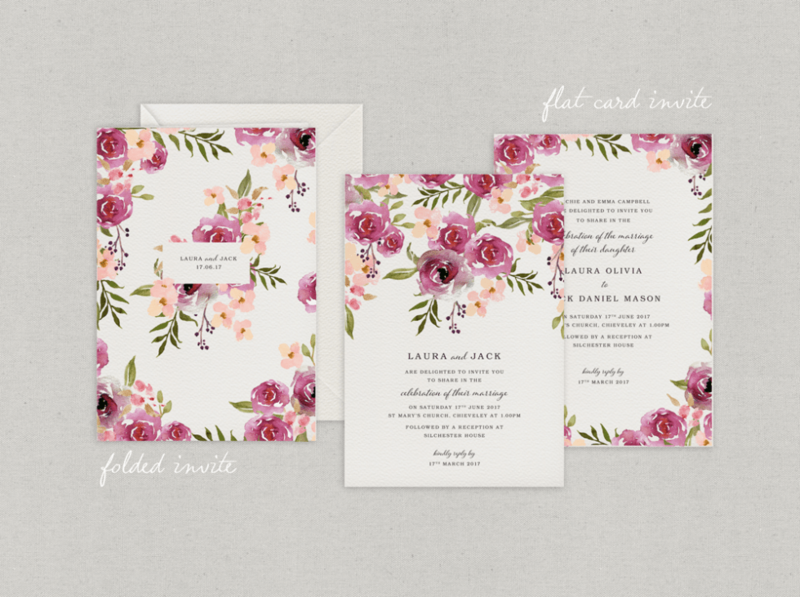 This pretty wedding invitation was inspired by my own small cottage garden. The water colour painted flowers give a relaxed flowing feel but the typefaces make the collection quite formal in its styling, meaning it suits every type of celebration!